I couldn’t get the bowl on its first release. It’s out of stock very fast. However FELISSIMO restocked it on November last year. This time I won’t miss it. After I removed the outer box and void fill chip added by the forwarder I used. 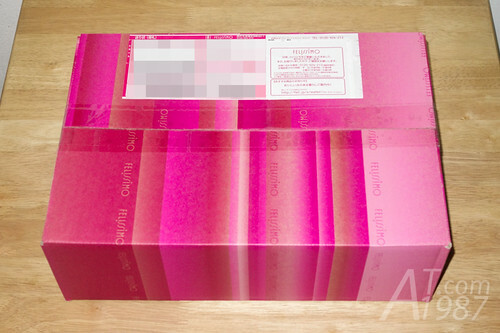 I saw the pink package box from FELISSIMO. 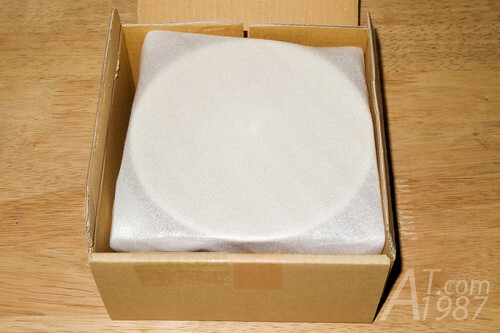 The package consists of the bowl in the box, leaflet and the gift photo. 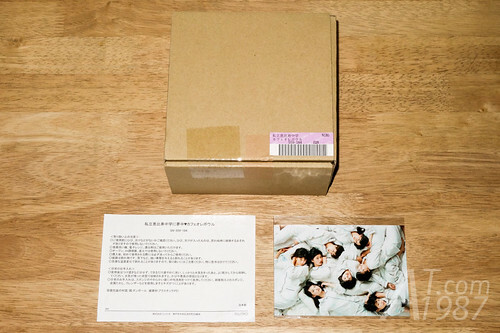 The gift photo is different for each SUKIYAKI product types. The bowl is warped by the foam sheet. 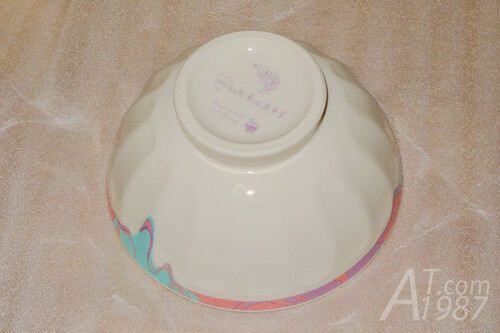 Remove the foam sheet and see Café Au Lait that is looked like the mixed color is overflowed from the bowl edge. 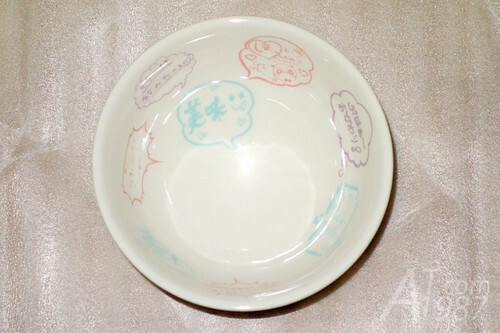 The conversation balloon wrote by each members are printed inside the bowl. You can learn who wrote which one from the SUKIYAKI site. There are the group and brand name on the bottom. They are design by all Ebichu members. The member helped writing and drawing the part of them. In my opinion although I like its design. 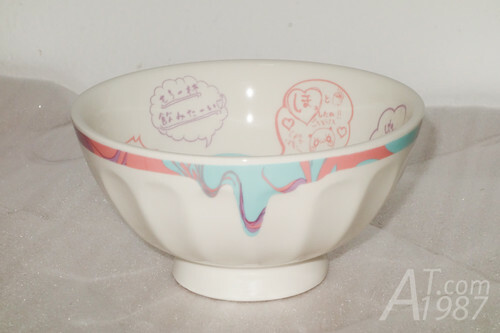 It’s only the normal porcelain bowl. 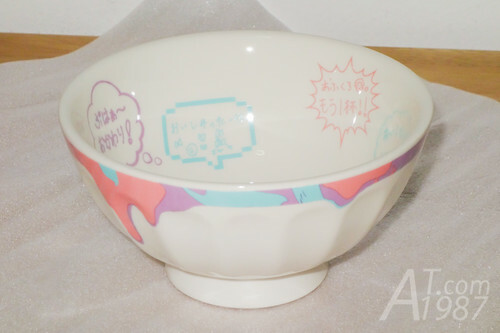 The price is quite expensive compare to the normal bowl sold in my country. If I include the forwarder and shipping fee, it will be insanely expensive. 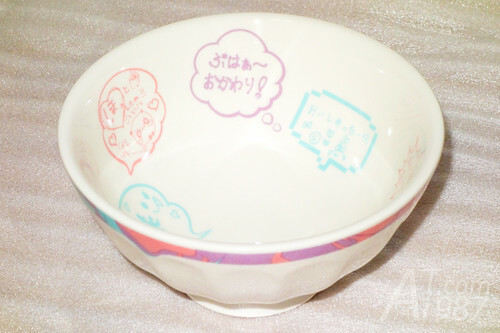 So it’s the item for Ebichu die hard fan only. If you want to buy other Ebichu’s goods. You can buy them from CDJapan.